You’d think that a massively profound moment in one’s spiritual development journey would happen while they meditated under a tree. Or talked with a guru. Or had a healing session. Maybe that’s the way it happens for some, but for me, a profound moment in my spiritual journey happened quite by accident… as I drove in the car with my husband, listening to him slurp his coffee. My husband, Jay, is a man of few words. He’s adorable, sweet, and funny – but not exactly what you would call “deep”. If you are familiar with the character Mike Heck on the TV show The Middle… well, that’s my husband. 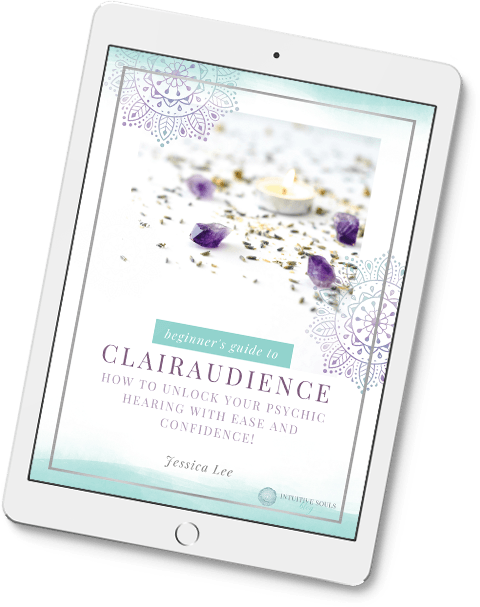 You might find this surprising, but since I started doing this work in 2000, Jay and I have had about five short conversations about my psychic and mediumship abilities. He’s kind and supportive, but isn’t really interested in the details. And I’m OK with that. One day, we were driving my daughter to a birthday party. I remember it was a dreary fall day and I knew a hot coffee would perk me up. I asked Jay to pull into the doughnut shop up the road. We ordered our coffee and as we drove out of the lot, I noticed a small, flashing neon sign on the house next to us. The sign was in the shape of a hand and read, “PSYCHIC READINGS, $5”. I scoffed and rolled my eyes. I turned to look at him and my mouth was wide open from shock. He had no idea how those simple words impacted me. A million ideas ran through my head, but I was speechless. He was right. Here I was, in the midst of this spiritual awakening and I was judging someone whom I didn’t even know. Maybe there was an amazing person giving life-changing readings in that house. I sometimes (OK, almost always) wear my yoga pants when we go out to dinner… maybe people in restaurants were judging my comfy clothes saying, Jeez, couldn’t that lady with the adorable guy find a nicer outfit? Or maybe there wasn’t someone awesome giving psychic readings in that house. Maybe there was someone who was scamming people out of their hard-earned dollars. It didn’t matter. The lesson for me was not to judge. That simple comment gave me a MUCH greater awareness moving forward in my spiritual journey. It propelled me towards leading a heart-centered life. I’d say that cup of coffee was worth every cent! It’s so true, Reba. It was just the wake-up call I needed and the message was received loud and clear. So funny how the perspective of another can wake us up. Great story…thanks for sharing! It’s funny how it can be the smallest things that wake us up sometimes, isn’t it? We have to slow down & be present to appreciate those moments. Absolutely, Tae :) Thanks for the comment.